How’s Dave Barry looking these days? Frankly, pretty good. 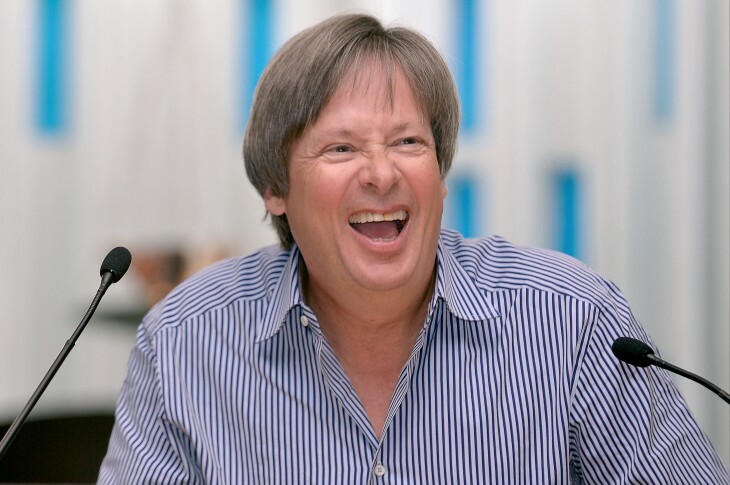 Dave Barry is 65. (He was born in 1947, same year as Hillary Clinton and O.J. Simpson.) It’s been eight years since he quit the syndicated humor column that made him a star; it ran in the Miami Herald from 1983-2005 and was syndicated widely. While we haven’t been looking, he’s been writing the popular Peter and the Starcatcher series of books with co-author Ridley Pearson. The stories are loose prequels to the Peter Pan stories of J.M. Barrie, with Tinkerbell and others making appearances. The first book came out in 2004 and has been followed by four more, most recently Bridge to Neverland in 2011. Now there’s also a Broadway play (“winner of five Tony Awards!”) and Disney is planning a Peter and the Starcatchers movie, too. No wonder Dave Barry is smiling. Make all the “boy who wouldn’t grow up” comparisons you like! Good for him. Glad he’s still writing.